Is it worth getting my camera repaired? Stripping down a Retina Reflex S, and reassembly! Manufactured from 1961 to 1964. 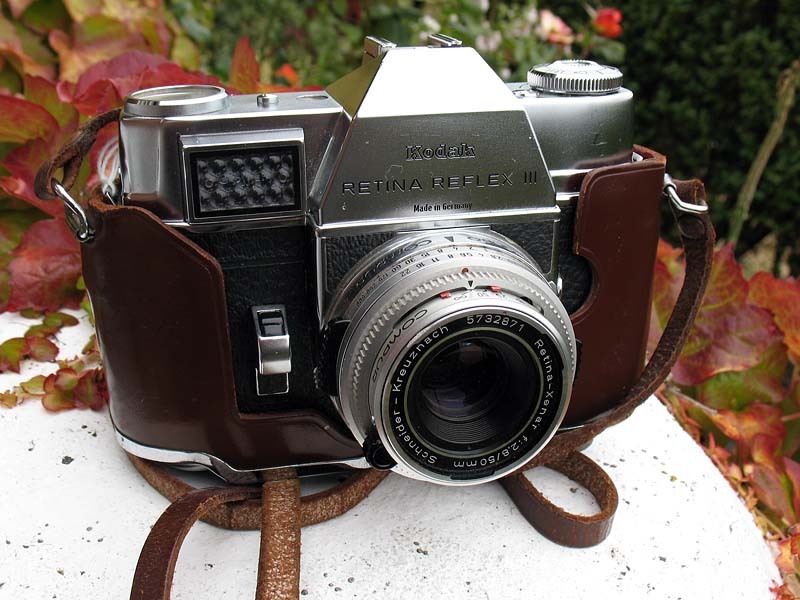 This model used the "S" type lenses like the Reflex S. The shutter release was moved to the front plate and the meter changed to a "sleeker" looking one. The frame counter was also moved, in this case to the base of camera. Perhaps the most important change from a user's perspective was that the exposure meter needle was now visible in the finder, saving you the trouble of taking the camera from your eye to adjust the exposure. Early production examples, like this one, had a slightly smaller selenium meter cell, and the button used for setting the film speed is on the top of the top cover. 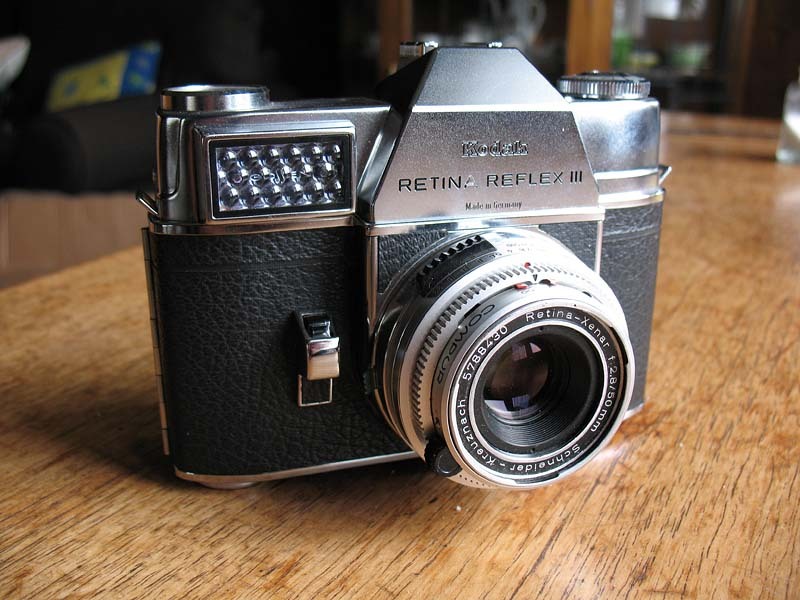 Later production examples like this one, had a larger selenium cell, and the setting button was moved to the back as on the Reflex IV model that followed. The Retina Reflexes are mechanically quite complex and since they have rarely been serviced in historically recent times, they are often found in less than perfect mechanical condition, and may be suffering from a variety of problems as a result. 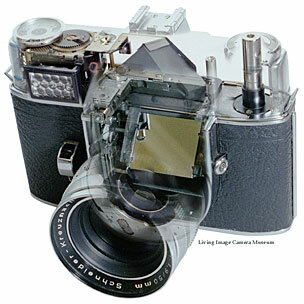 Here is an amazing cut-away picture borrowed from Keith South's "Living Image Camera Museum" website.